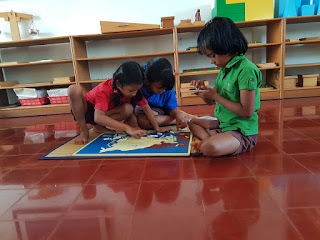 Montessori education is a child-guided method of learning, which involves the use of specific materials and small objects developed by Italian educator, Maria Montessori over one hundred years ago. 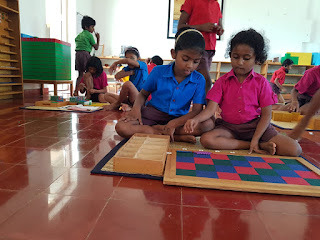 In montessori classrooms, children are intrinsically motivated to help in activities termed “work” - self-building tasks that lend themselves to an independent learning experience that’s limitless, yet structured. Today, this time-tested pedagogy with its unique set of learning outcomes has traveled to cities and towns all around the world. 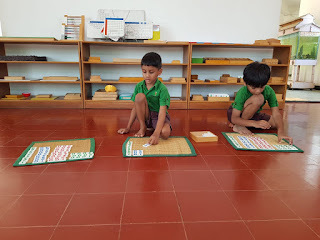 And the historical connection that the city of Madras, as Chennai was known earlier, shares with this education method and Maria Montessori herself is indeed quite remarkable. During World War 2, when Maria was exiled by Mussolini in the year 1939, she and her son fled to Madras. That November, following an invitation from G.S. Arundale, Maria established the city’s first Montessori school at the quaint, old Olcott Garden bungalow on the grounds of Theosophical Society. Since then, several montessori schools have sprung up in the city, quietly changing Chennai’s early childhood education landscape. 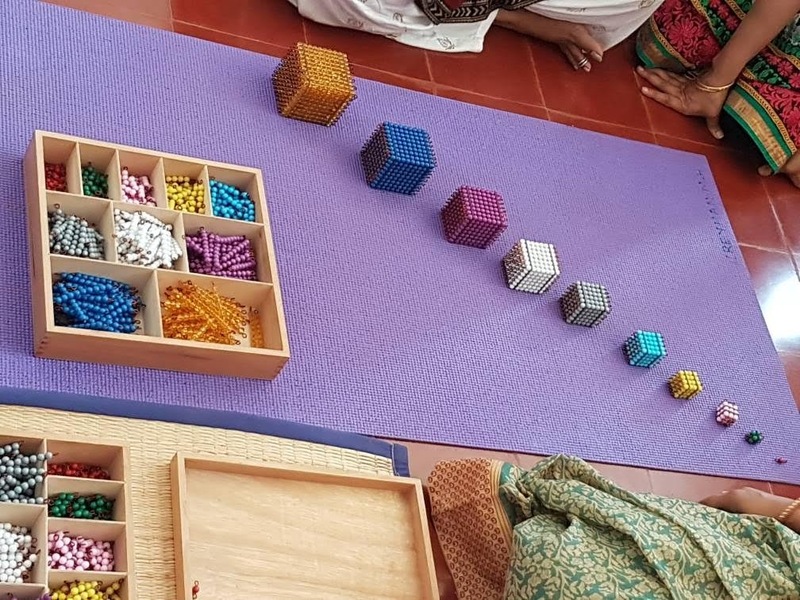 Manju started Sharanalaya fifteen years ago in Mahalingapuram, and the school now has a new branch on East Coast Road in the beachside neighborhood of Akkarai, skirting Sholinganallur and Injambakkam. Sharanalaya’s classrooms are bright, airy and spacious, exuding a warm and friendly environment where children thrive in freedom. Aesthetically created Warli paintings adorn the walls in the corridors, while neatly laid red-oxide athangudi tiles render the clutter-free floors a joy to walk on, for feet big and little. In these open and orderly classrooms, elementary and primary aged children seamlessly explore their physical and intellectual independence. Children by age six start to realize that the world is an enormous, interesting place. Continents, cultures, scientific concepts and great literature become part of the classroom catering to age-group 6-12. Elementary curriculum in Sharanalaya guides the child through multi-disciplinary areas of learning - math, geometry, language, zoology, paleontology, geography and history are all represented in a montessori classroom, which is filled with materials that lead to an understanding of fundamental concepts across disciplines, using both concrete and abstract methods. With a meticulously planned play area, Neev Montessori in Injambakkam believes in letting children explore and experience their physical strengths in a myriad different ways. 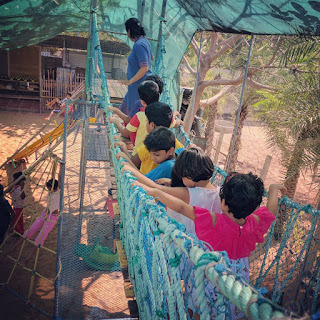 Hanging bridge, rope ladders, climbing nets, rope walking, and monkey bars are some of the many fun and challenging equipment the play area offers. Housed in a red brick building with well-lit classrooms, arches, open spaces and hallways, architecturally unique Abacus Montessori in Perungudi on OMR was designed by well-known architect, Benny Kuriakose. 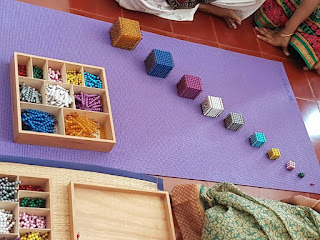 Abacus’ recent farm program initiative has been a unique way of engaging children with the community and the environment during montessori’s older elementary years. Children work on organic farming through sustainable practices: they sow seeds, grow paddy and vegetables and grains, take care of cattle, and in the process learn to grow their own food, respecting Nature. 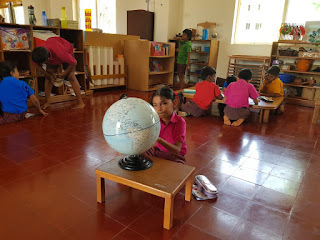 Temple Tree, Redwood and Besant Arundale school in Kalakshetra, Besant Nagar, Navadisha in Velachery, Learning Tree in Adyar, Sprouts and Vruksha in Alwarpet, Patashala in Nungambakkam are some of Chennai’s other montessori schools doing significant work in bringing this system of education to families across the city. All pedagogies in early childhood education agree that every child needs time, space and freedom to explore learning on his/her own terms. Conventional schools abound in the city where exams and marks define education in every frame of mainstream thought. But thanks to Maria Montessori, families were introduced to an alternative system of schooling 80 years ago. To this end, these schools have gone out of their way to help parents understand the philosophy of Montessori. 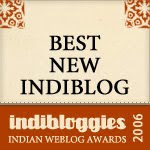 Meena further adds, “One more equally interesting fact is that the learning material in the classroom is very simple and non-distracting, absolutely no fancy stuff in the classroom with a lot of orderliness.” Meena also believes that the concrete presentation of the number system helps the kids develop a mental picture of the numeric system. This, she thinks, can be especially helpful in problem-solving, giving children a mental picture of the problem, combined with a realistic, hands-on way of coming up with a solution. Convenience can be a crucial factor when it comes to choosing schools, especially for a child’s early years of education. With more than fifteen Montessori schools spread across neighbourhoods, for parents who want their children to thrive as individuals joyfully learning without any comparisons and pressures of ranks and marks, and other unnecessary system-induced stress and anxiety, options to choose from schools following montessori education are plenty today, at least till the end of elementary years.